Corboy & Demetrio lawyers Robert Bingle and Philip Harnett Corboy, Jr., both with extensive experience in train crash accident and railroad injury litigation, are representing two victims, one who was killed and another who was seriously injured, as a result of a train crash that occurred outside Chicago, when a train derailed, exploded and caught fire in Rockford, Illinois. The derailment was caused by a washed-out portion of track. Before the derailment, the Winnebago County Sheriff's Deparment had informed Canadian National Railway that the dangerous condition existed. On Friday, June 19, 2009, a train, with 114 cars, including 74 tankers filled with ethanol, was traveling from Freeport, Illinois, to Chicago. As it approached Rockford, Jose Tellez, his wife Zoila and daughter were in the family car on the south side of the railroad tracks behind the lowered gates, waiting for the train to pass when approximately 18 cars derailed, causing an explosion and massive fire. All three family members were severely burned by the flaming ethanol. Zoila died from her injuries. A complaint has been filed alleging negligence in the operation, maintenance and supervision of the train and the railroad track. Corboy & Demetrio also filed a petition for an Order of Protection seeking to preserve all the evidence in the case. Corboy & Demetrio are leaders in train crash and accident injury and death litigation. For over 50 years, we have been representing victims injured or killed as a result of railroad and train negligence. 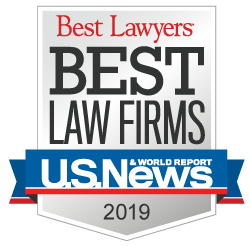 Our success in representing victims in personal injury and wrongful death cases has been exceptional - we have acquired over $3 billion in settlements and verdicts, of which nearly 600 were in excess of $1 million. To read more about our record of success, go to Corboy & Demetrio - Leaders in Railroad Injury and Accident Litigation.